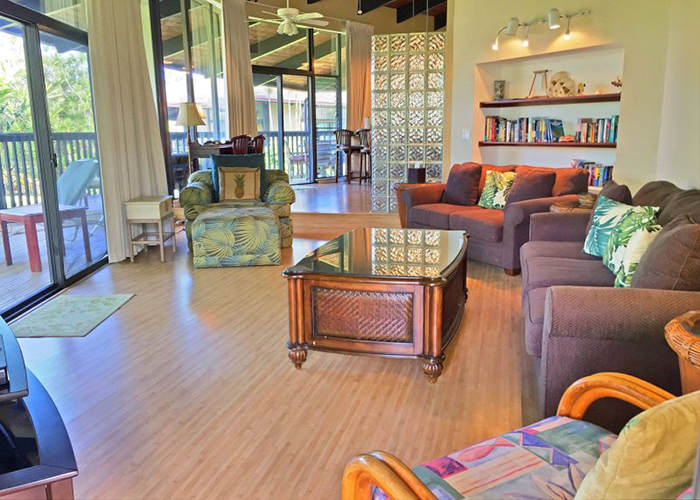 Mauna Kai is centrally located in Princeville on the spectacular north shore of Kauai. This unique 46 unit complex features a large pool, cabana and gas barbecue grill. 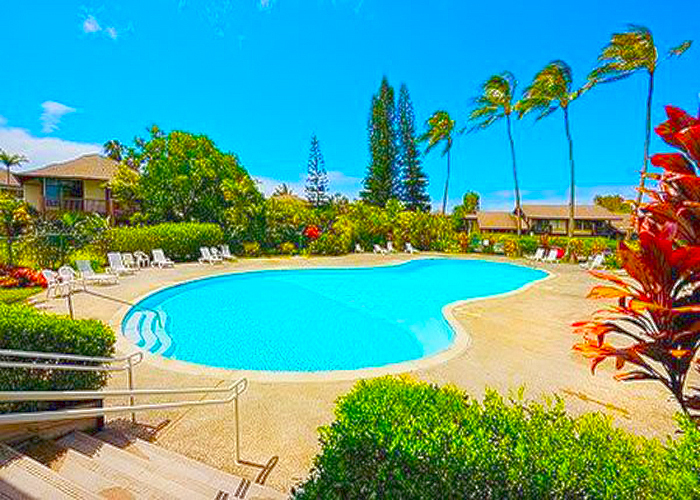 Surrounded in tropical vegetation and peaceful landscaping, this complex is really a collection of individually designed free standing homes with a large variety of floor plans and options available for nightly and weekly rentals. The units are very spacious with a variety of mountain, ocean, and golf course views depending on which unit you're in. 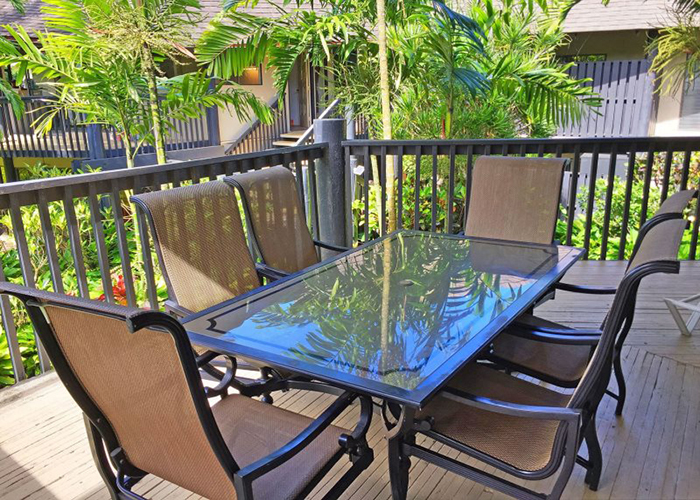 Mauna Kai is close is within walking distance of the Princeville Shopping Center and also Anini Beach by way of a 12 minute hiking trail. 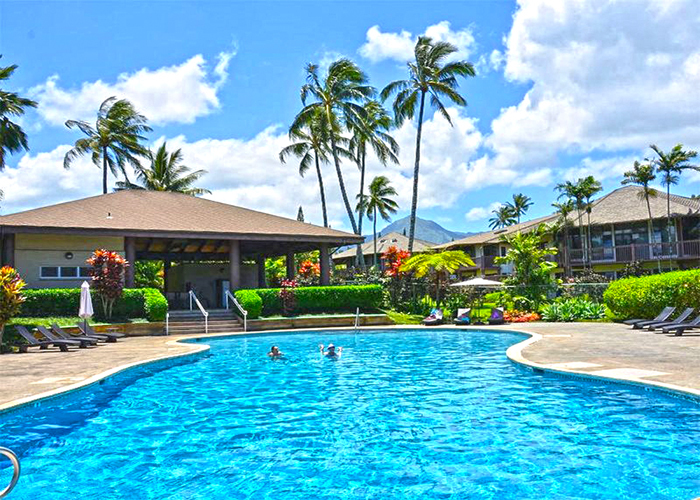 The Princeville St. Regis Hotel is nearby and the property is located on the Makai Golf Course and just around the corner from the both the Prince and the Princeville Golf Courses. 3.5 Bedroom / 2 Bath: Perfect for that family vacation you've been planning. Enjoy and relax in the tropical surroundings from your deck. This condo is fully equipped with a full kitchen, washer/dryer, & dishwasher. Three bedrooms and a loft make this a great value. There is a Sony Play Station available for your use as well as wireless internet access.